A background investigation is the most important asset to anyone wanting to know the truth about a person’s or business’s track record. ONQPI Investigators, conduct the most comprehensive and in-depth background investigation to uncover the facts on anyone or anything providing you with vital factual information and giving you peace of mind regarding your situation. 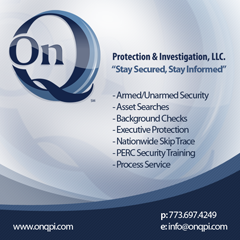 ONQPI background check specialist provide fast and accurate information, critical to your decisions.